Daler Bora…Red Lentil fritters…our evening snack yesterday…traditionally deep fried…however my friend N had once told me that she made vadas and pakoras in Paniyaram pan/ Appapatram as known in India or the Dutch Poffertjes Pan/ Danish Æbleskive pan as known elsewhere…so I had promptly gone ahead and bought one…bought the one with non stick coating as the cast iron one was not available…have been using it ever since to replace some of the deep frying cooking and it works like a charm…not as crisp as deep frying but avoids all the hassle of deep frying…and in fraction of the oil…the only thing you need to take care of is to cook at low flame to ensure the insides get cooked properly. Wash the dal till water runs clear. Soak in water for about an hour. Take the soaked dal (now puffed up after soaking) and grind it into a paste in the grinder/blender with ginger, salt and half of the green chilies. Try not to use water while grinding – it needs to be thick paste with slightly coarse texture. Empty out the contents from the blender into a bowl. 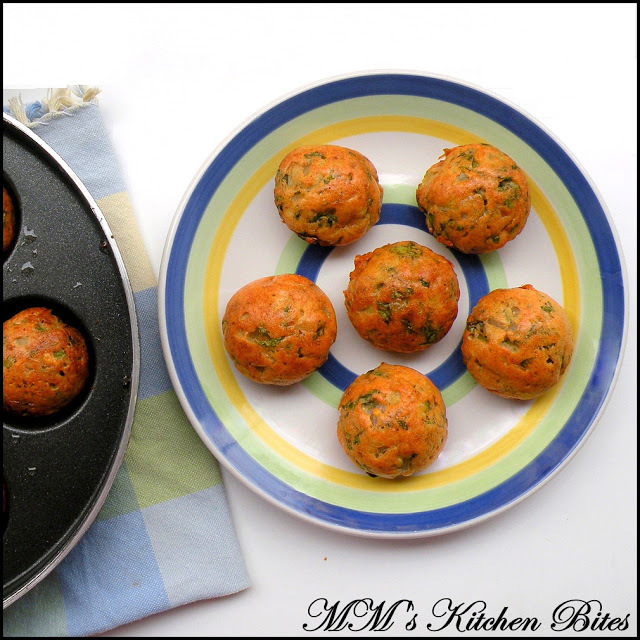 Mix in the chopped onions, coriander leaves and remaining green chilies. Lightly whisk the dal paste with a fork for 5-10 minutes. Heat the pan on low heat and add about 1/4 teaspoon of oil in each indent. (if using cast iron pan, you would need to add about a tsp of oil in each indent for the first round). When the oil heats up, add a spoonful of the paste into each indent. You would know it is time to time to flip them over, once the boras start pulling away from the side. Add a few drops of oil on the sides of each one and with the help of a skewer or back of a spoon flip over the boras and cook till the other side is also crisp brown. Serve hot with meal or as snacks. Heat enough oil in a kadhai/wok/frying pan for deep frying. 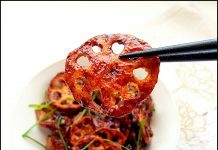 Gently drop spoonfuls of batter into the wok and fry on medium low heat initially, to evenly cook the insides and then increase the heat to medium high towards the end, to crisp up the outsides. Remove from the wok using a slotted spoon and drain on kitchen towel before serving. P.S. does the photograph remind you of another post?? It is meant to. 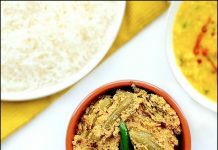 Previous articleBengali Masoor Dal….total comfort food even for a 6% Bong!!! Next articleLau Ghonto…skeptic turned believer!!! 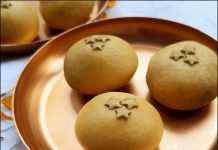 Making them in the Paniyaram pan is a great idea!!! I think i am going to buy one now…Thanks for sharing this lovely recipe and great tip..